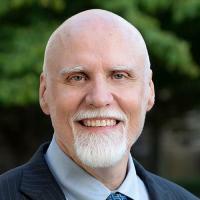 Jeffrey T. Glass is a Professor in the Department of Electrical and Computer Engineering with a secondary appointment as a Professor in the Department of Mechanical Engineering and Materials Science at Duke University. He is the Faculty Director of Duke's Master of Engineering Management Program and also holds the Hogg Family endowed chair in Engineering Management and Entrepreneurship. Formerly, he was the Co-Director of The Institute for the Integration of Management and Engineering at Case Western Reserve University (CWRU) and held the Joseph F. Toot, Jr. endowed chair in the Case School of Engineering. Prior to these university appointments he was the Vice President of R&D for Kobe Steel USA Inc. Jeff received his Bachelors and Masters degrees from Johns Hopkins University, and a Ph.D. in Materials Science and Engineering from the University of Virginia. He also received an MBA from Duke University's Global Executive (GEMBA) program. Jeff's technical research has focused on the growth and characterization of thin films for electronics, including carbon nanotubes, graphene, graphenated carbon nanotubes, diamond, silicon carbide and chalcogenides. Chemical vapor deposition, sputtering, materials analysis and electronic/electrochemical properties are his areas of interest. Miniature mass spectrometers, decentralized waste treatment, smart toilets and photoelectrochemical energy conversion devices are some of the applications his lab focuses on. He has published over 175 papers and book chapters, edited seven books and is a co-inventor on 14 patents. He has been a short course instructor for several professional societies and companies and has organized numerous conferences. He has given over 75 invited presentations in 12 different countries. He served as a member of a Presidential Science Advisor's committee for the assessment of diamond technology in Japan and has received two teaching awards and the National Science Foundation Presidential Young Investigator award. He has held adjunct faculty appointments at North Carolina State University, Case Western Reserve University and the Kenan-Flagler Business School at the University of North Carolina where he has taught executive courses on Managing Innovation. Han, Q; Ding, J; Bai, Y; Li, T; Ma, JY; Chen, YX; Zhou, Y; Liu, J; Ge, QQ; Chen, J; Glass, JT; Therien, MJ; Mitzi, DB; Hu, JS, Carrier Dynamics Engineering for High-Performance Electron-Transport-Layer-free Perovskite Photovoltaics, Chem, vol 4 no. 10 (2018), pp. 2405-2417 [10.1016/j.chempr.2018.08.004] [abs]. Teymur, B; Zhou, Y; Ngaboyamahina, E; Glass, JT; Mitzi, DB, Solution-Processed Earth-Abundant Cu2BaSn(S,Se)4 Solar Absorber Using a Low-Toxicity Solvent, Chemistry of Materials, vol 30 no. 17 (2018), pp. 6116-6123 [10.1021/acs.chemmater.8b02556] [abs].